In 2007, the world was introduced to Nick, Kevin, and Joe Jonas better known as The Jonas Brothers. The New Jersey natives became a hit boy band recording four albums and selling 20 million copies. The trio was even nominated for a Grammy before calling it quits in 2013. After their split, the brothers set out on their own paths: Joe recored a solo album, Nick joined broadway, and Kevin starred in his own reality TV show. 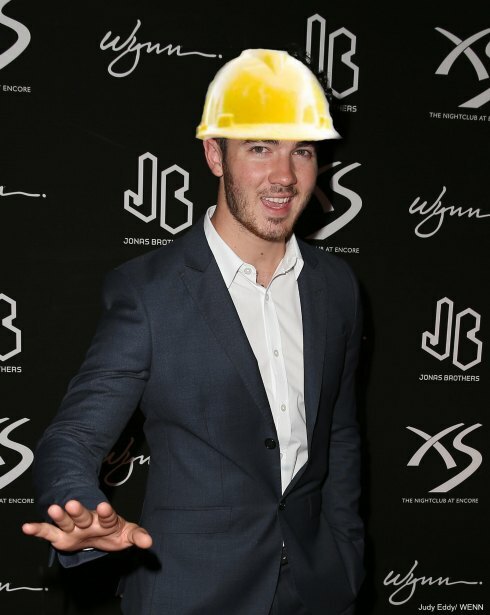 It’s been while since we’ve heard from the brothers, that is, until Kevin made a surprising cameo on The Real Housewives of New Jersey. 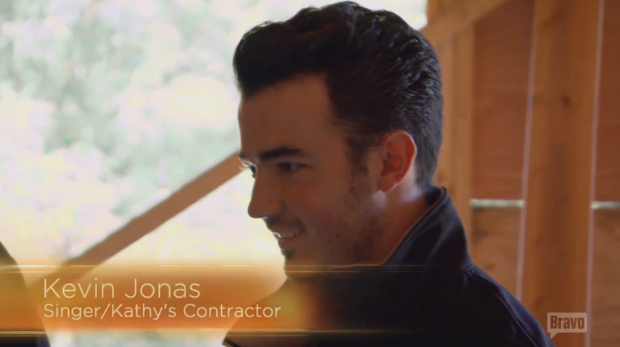 When Rosie joined her sister Kathy and Rich for a walk-thru of their new house, viewers were surprised to see a random yet familiar face working on the Wakile home, Kevin Jonas! Check out the clip and Rosie’s hilarious commentary. Kathy’s right. Kevin has had a great deal of experience beginning with his first home with wife Danielle. In fact, Kevin isn’t just a contractor, he owns his own company called Jonas Werner Fine Custom Homes. Kevin and Danielle documented their first years of marriage in their reality show Married to Jonas on E!. The show completed two seasons but is now on hiatus. Perhaps this is the jumpstart Kevin needs to hop back into reality TV.